As with any industry, broking is reliant on new entrants to the field. There has been no shortage of these in recent years; though broking always has room for growth, it seems more people than ever are actively seeking it out as a viable and fulfilling career path. This is positive for a number of reasons: it guarantees the future of the industry; it brings new ideas into the field; and, in turn, it raises the standards of broking in general. Perhaps most importantly, it means that consumers have better access to a larger variety and more specialised brokers than ever before. But who are these new brokers? Who are the future industry leaders? For an industry, there is a vested interest in keeping an eye on the young movers and shakers, and it’s for this reason that MPA places such a strong emphasis on the Young Guns feature every year. This year’s entrants stem from an impressive variety of different backgrounds. However, diversity is still lacking in certain areas: this year’s Young Guns featured only two female brokers out of 30. While MPA’s Young Guns report has a limited survey size, the MFAA’s much larger report found the proportion of new brokers who are women has fallen to 27% of new entrants. The MFAA’s report also indicated that the overall number of female brokers in Australia has undergone a slight decline. What sort of changes need to be made in order to bring more women into the workplace? How the industry tackles this, among other challenges, may prove to be of critical importance over the next few years. So how do we pick MPA’s Young Guns? We start by setting the entry criteria: Young Guns must be aged under 35 as of February 2019; they must have written more than $15m in loans over the previous 12 months; and they must have commenced working as accredited brokers after March 2017. We then look at recommendations from peers and at each broker’s volume of loans to pick the final 30. We don’t rank Young Guns, and there is no ‘winner’; all of these brokers are fine examples to new entrants and established brokers alike. We’d like to thank all the brokers who applied for this year’s Young Guns list, whether or not they are featured. We’d also like to thank our sponsor, ING; all those who gave recommendations; and the aggregators and franchises that supported the Young Guns in applying. 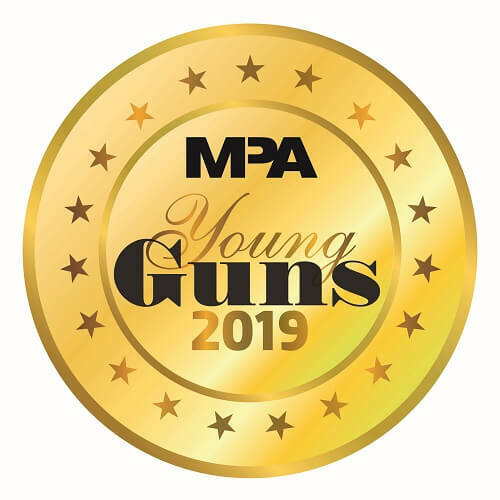 ING is honoured to sponsor MPA’s Young Guns report in 2019. As a digital bank, ING sees its brokers not simply as a distribution channel; brokers are our ‘shopfront’ and an integral part of our business. While the broker market represents 55% of the home loan market in Australia, over 80% of ING home loans are originated via brokers. The success of the partnership we hold with our broker partners is founded on the same purpose: to help customers get ahead. This purpose is at the heart of everything we do, and we help brokers achieve this by providing great products, experience, education and support. We like to play our part in fostering relationships with new brokers, particularly those just starting out in the industry. 2019 is likely to bring challenges for the broker industry. I’m confident that, notwithstanding these challenges, the broker channel will continue to grow. The industry continues to attract new entrants, an essential ingredient in a growing and competitive market. With the exceptional talent rising through the ranks, there’s no doubt today’s Young Guns will rise to the challenge and be successful in their endeavours. The Young Guns in this report have been nominated by industry professionals for their outstanding performance, excellent customer service and professionalism. They epitomise the qualities of a top-performing broker. It gives me great pleasure to celebrate the achievements of the finalists in the MPA Young Guns 2019 report and to recognise their hard work and dedication. Congratulations to all the finalists!